For most of us, formal attire is not worn for everyday occasions. Gentlemen - in this special post, we are talking to you! For the events in life when a button-down and tie will not do, it’s time to start thinking about suiting up in a suit or tuxedo. Are you thinking about a suit with a slim fit? Maybe you’re thinking, “I want to wear a tuxedo like James Bond,” but don’t know where to begin. If you’re like most men, you have to start with the first, and most basic, question: should you rent or buy a suit or tuxedo, and more importantly, what is the difference? Don’t fret, gentlemen. We’ll break down the differences and help you decide what option is best for any event. First thing’s first: what is the difference between a suit and tuxedo? Does it matter which one you wear? Just like you wouldn’t wear a pair of jeans to a job interview, or a pair of basketball shorts to a wedding (at least we certainly hope not), there is always a time and a place for a suit or tuxedo. Think about the event you are attending. Traditionally from an event invitation, you are able to gather a theme for the dress code. 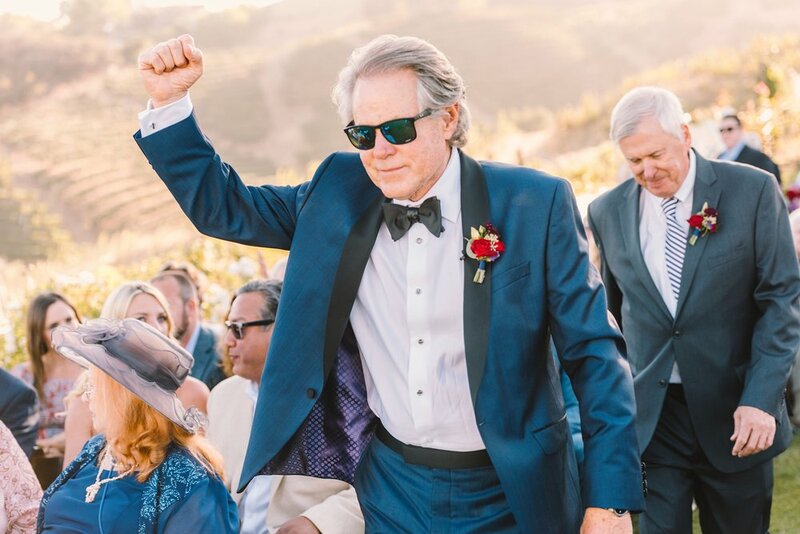 For events that are less formal, like black tie optional weddings, cocktail hours or casual dress, a suit is your best option. If you’re attending an event that is black tie or even fancier, a white tie event, always stick with a sharp tuxedo. The key difference between a suit and tuxedo is that tuxedos are far more formal than a suit. A suit is typically made with a fabric that is lighter, more flexible, and sports an appearance that is casual, but still well-put-together. 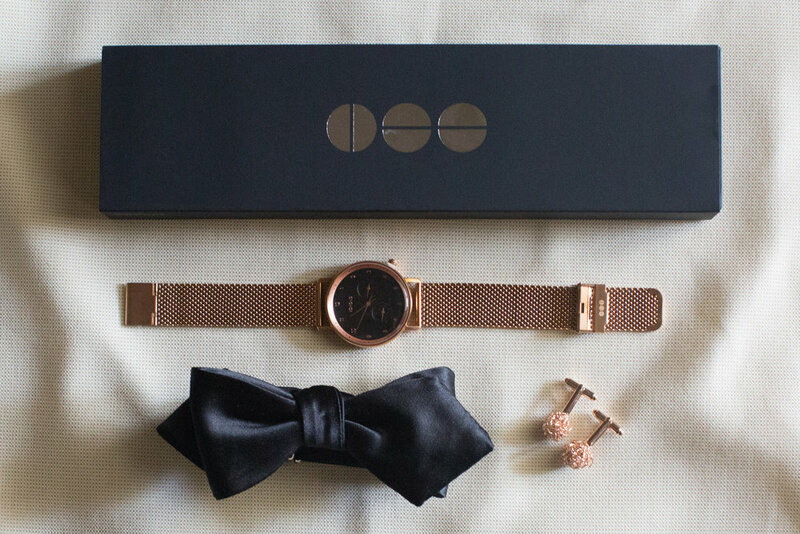 You usually would wear a suit with a tie, but suits can also be personalized with different accessories. Pocket squares, undershirts, and shoes are a great way to make your look unique. If you’re looking for a suit that’s right for you, keep in mind that it should be fitted and not boxy. Many gentlemen wear suits to work on a daily basis, so if this is your first time considering wearing one, make sure you do your research and find a fit that looks best on you. This could mean opening a dialogue with a local tailor or finding online images of suits modeled by en of a similar body type to yours. The tuxedo has often been referred to as “the gentlemen’s choice of attire.” A well-fitted black tuxedo has a look that will forever be classic and sophisticated. If are you attending an event that is formal, a tuxedo is definitely your best option. Traditionally black or midnight blue, a tuxedo has details that are all coordinating and similar in color. One of the key distinguishing factors of a tuxedo is the silk lapels of the jacket and the cumberbund worn beneath. The outfit is completed with a black shoe and bowtie that give the look a refined and elegant appearance. When it comes to tuxedo etiquette, always keep your look simple, and remember: the fewer details, the better. The tuxedo is already a statement piece, so leave the patterned bow ties and pocket squares at home. 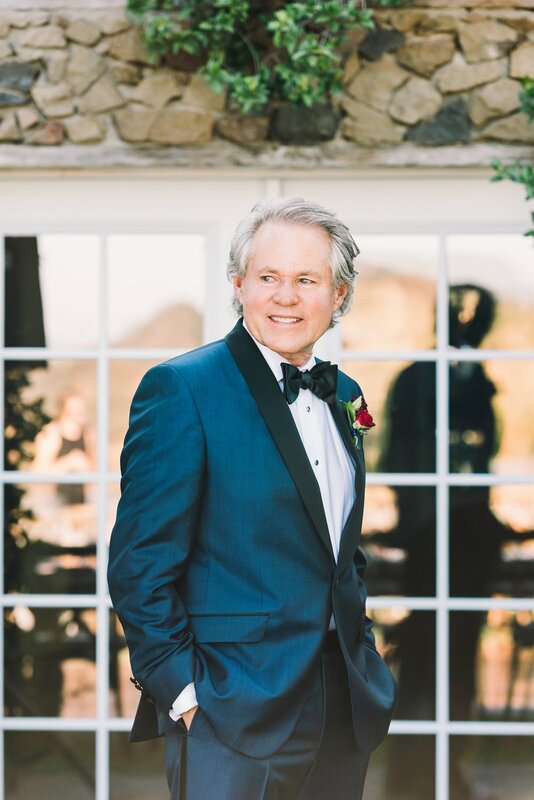 Now that we have covered the basics, you’re probably wondering, “should I rent or buy a suit or tuxedo?” If you plan on wearing it again, then purchasing might be a better option. If you like to try different styles, test new color, or just wear something you normally wouldn’t, renting might be an option for you. Doesn’t it always seem that when one friend gets married, the others shortly follow? If this sounds like your group of friends, it might be time to invest in a piece of quality formalwear -- something you could wear to black tie weddings and other formal events. Whether you have been asked to stand at the altar or attend as a guest, you might find that purchasing a tuxedo at this time in your life is a beneficial investment. If you’re considering a suit, think about investing in a suit with a basic color that could be worn to many different events. From weddings to family get-togethers, you can always wear a versatile suit. “But I’m in the wedding and the happy couple picked my attire…….”. This is pretty common and will override any initial ideas you may have had about your wardrobe. The importance of a tailored suit or tuxedo does not fall by the wayside here, be sure to get properly fitted. If you’re planning a wedding or are in the wedding party, narrowing down your tuxedo and suit options is easier than you think. For grooms, coordinate with your significant other on the theme of the wedding. 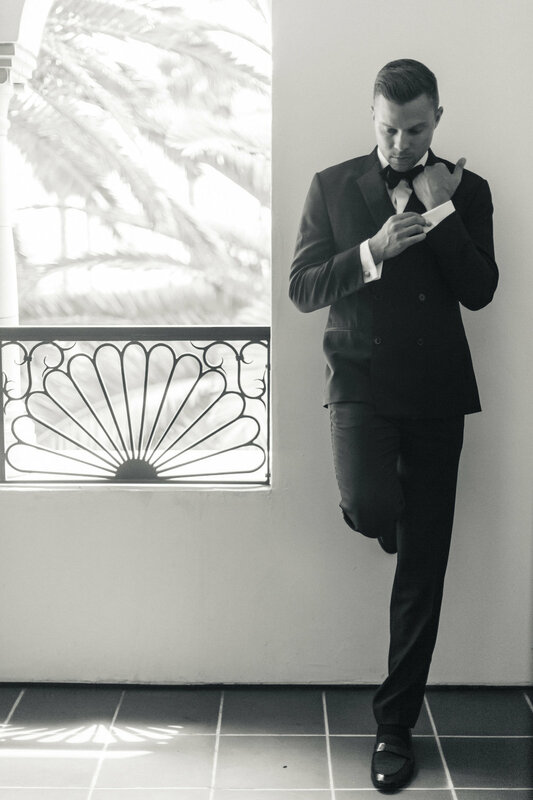 If you’re hosting a wedding that is more elegant and sophisticated, consider tuxedo rental options. For weddings that are charmingly rustic or even more casual, a suit would be the perfect option. Are you a groomsmen in a wedding? Lucky for you, you just have to follow the dress code the bride and groom establish! Grooms, consider an alternative to your suit and tuxedo rental and try looking at an online rental company. Online tuxedo rental companies, like The Black Tux, make finding a matching suit and tuxedo rental easier than ever before. Skip the trip to the tailor and browse the numerous online suit and tuxedo rental options available on their site with ease. Consider looking at different styles or colors, or exploring the look of the groom’s attire to make it individual in comparison to his groomsmen. With all of the options at your disposal, you will certainly be able to compare and see different styles that might look best for your wedding! Choosing a suit or tuxedo can, at times, be a little daunting. What it comes down to in the end is the type of investment you would like to make in the formal attire that you wear. If you see yourself wearing your suit or tuxedo multiple times, consider investing in one that can be worn for many years to come. If you like to try different styles and are still unsure if you would like to purchase one, continue renting until you find a style that you absolutely adore. Formal attire isn’t an everyday thing, so when it is required, step up your usual look in a suit or tuxedo that accentuates your best features and encompasses your signature style. Don’t be afraid to try something new and give a modern feel to the look of traditional formal attire.